Pre Wash before you shampoo and Soy Protein for after you shampoo. Th Silk Pre-Wash Conditioner is a deep penetrating treatment is pH balanced and infused with silk protein and natural botanical extracts. Rebuilds and strengthens dry, damaged and stressed hair is a miracle detangler. Vitamins essential to hair nutrition also tame frizz while adding shine and luster. Safe for straightened, color- treated and chemically-treated hair. Formulated with environmental impact in mind. 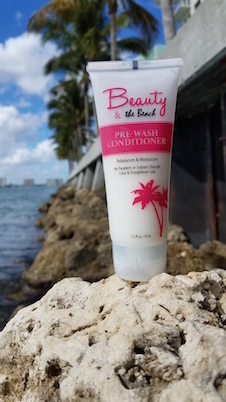 The soy protein-enriched conditioner imparts moisture and protein into the hair without weighing it down. Imparts incredible manageability and shine. Safe for straightened, color-treated and chemically-treated hair.